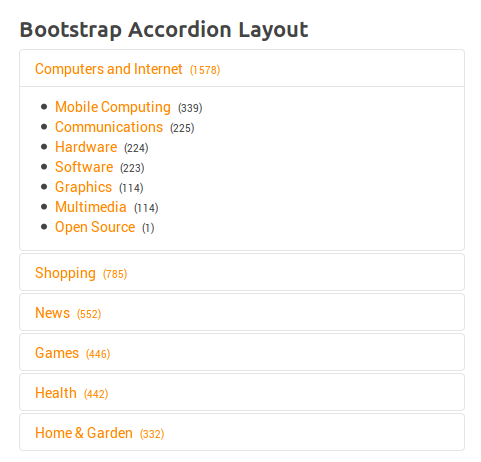 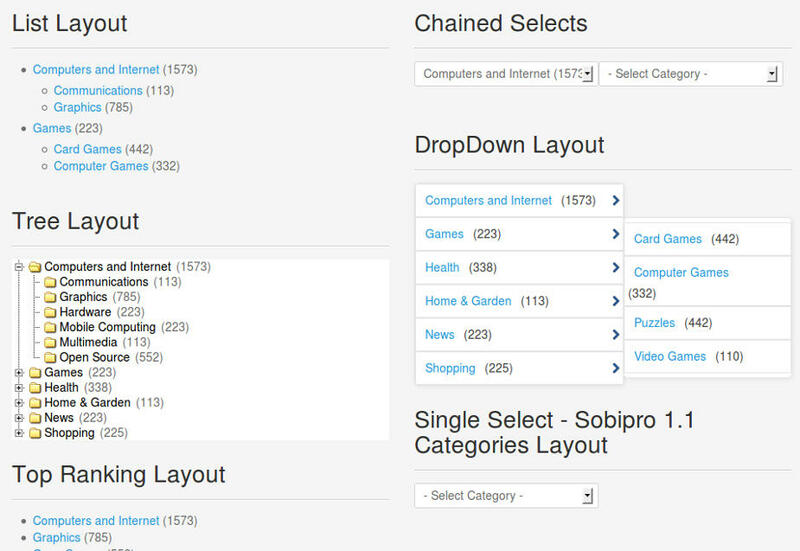 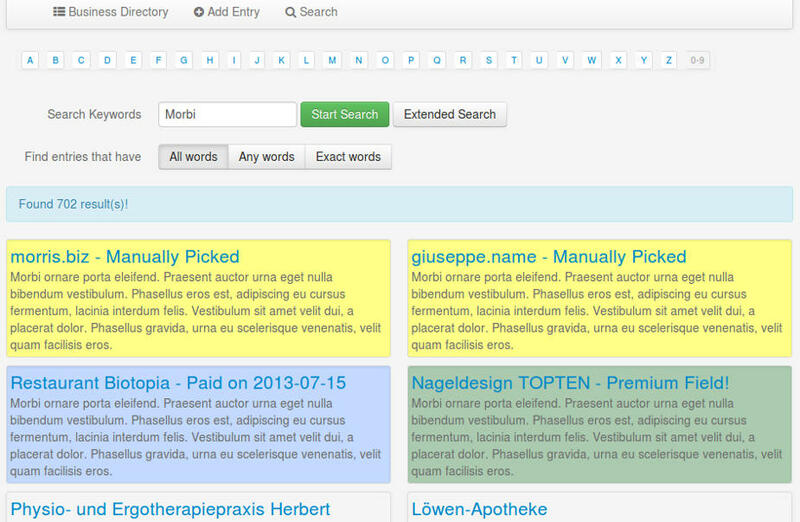 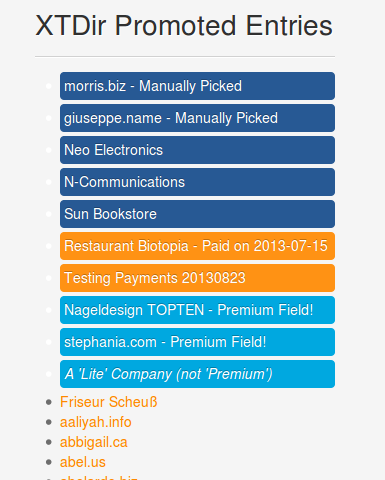 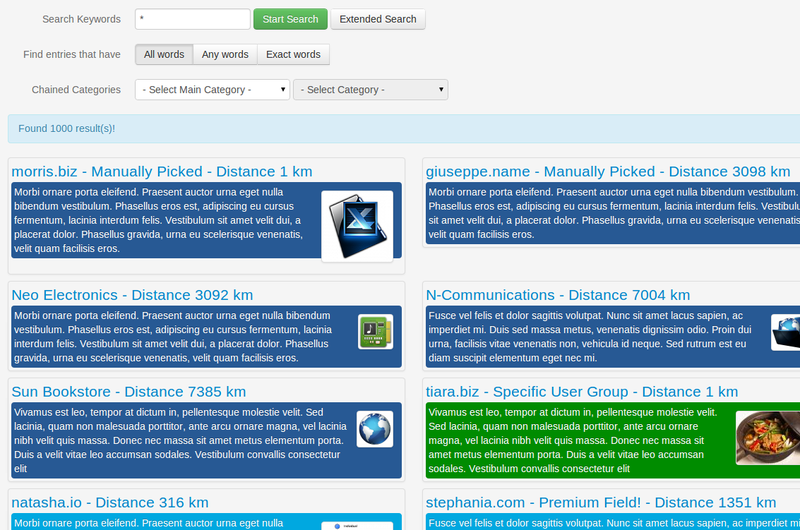 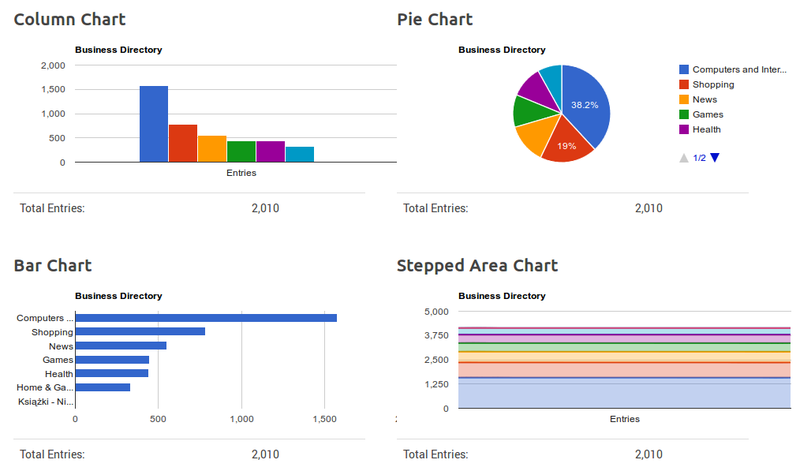 Show a GeoMap search form, based on SP GeoMap field! 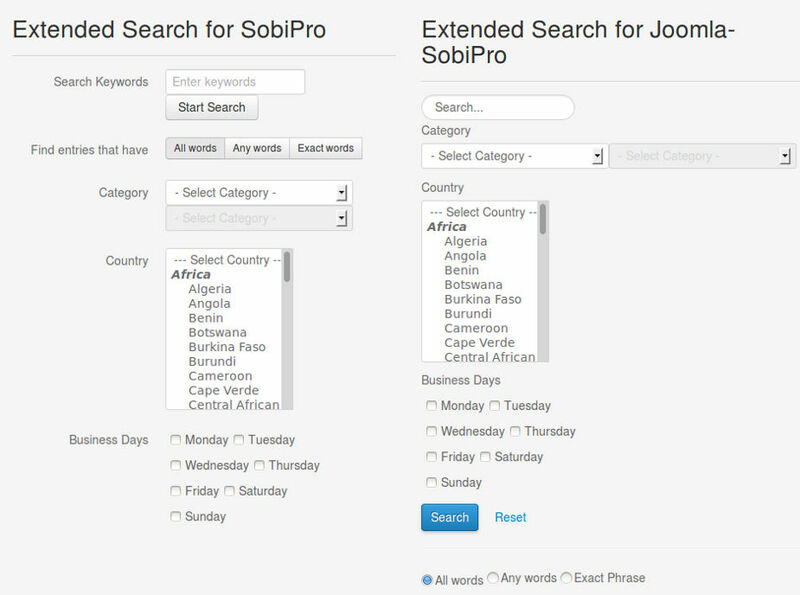 "... a Proximity Search which lets the visitors search entries within the proximity of a given location." 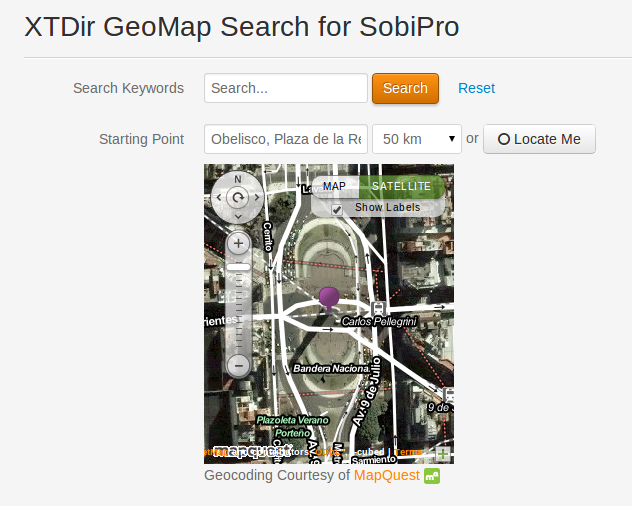 The SobiPro SP GeoMap fieldextends the types of possible custom fields with a field type for showing the location of an entry on a Google Map and with the possibility to do a Proximity Search. 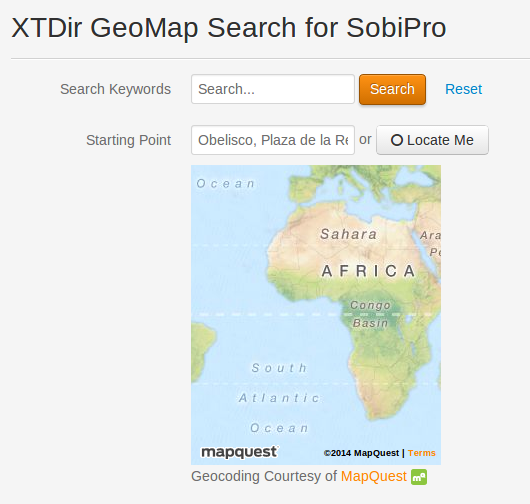 During adding an entry, it creates coordinates based of the geo-location of the current IP address of the author, or of the entered address. 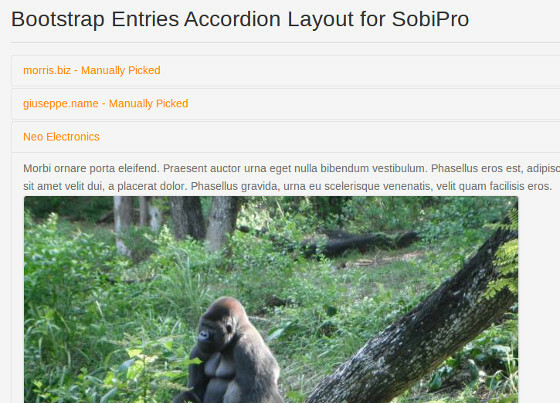 In the details view the entry will get a map with a marker for this entry. 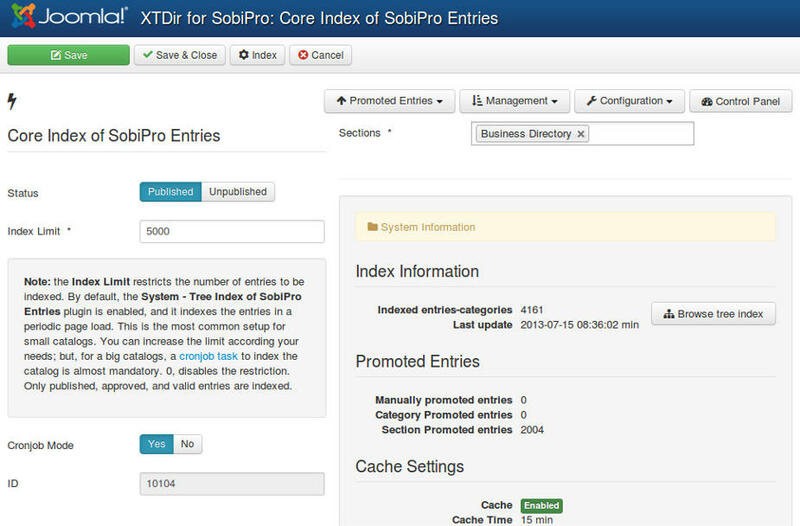 Additionally this version includes a Proximity Search which lets the visitors search entries within the proximity of a given location. 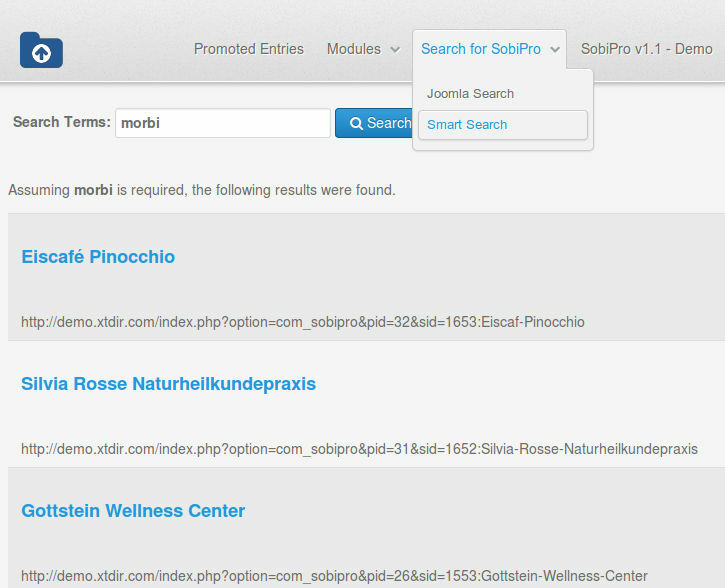 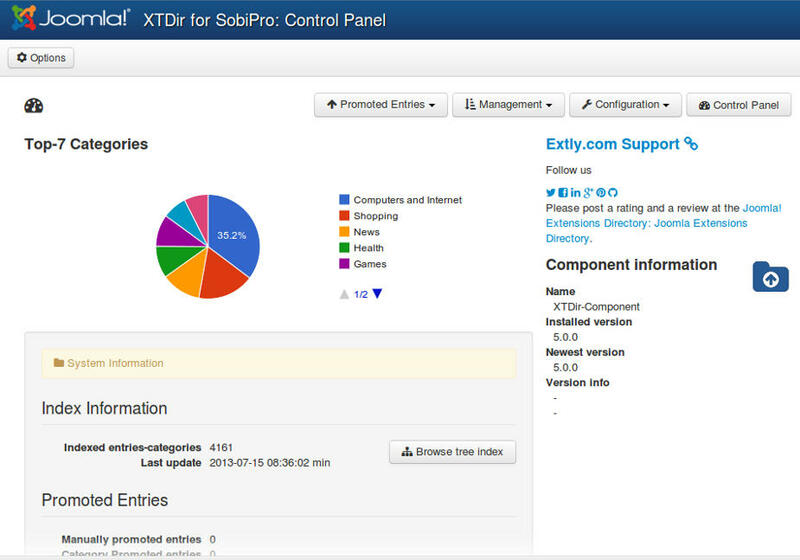 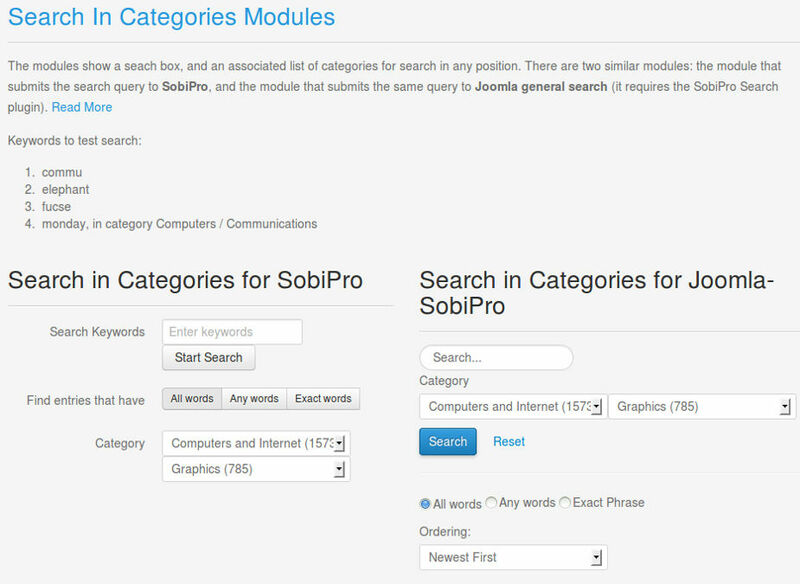 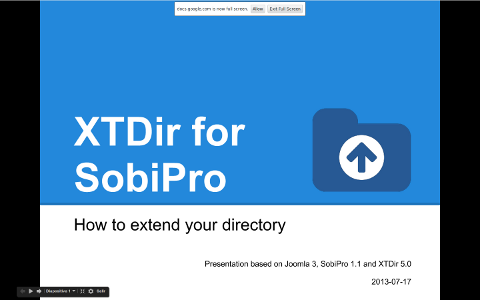 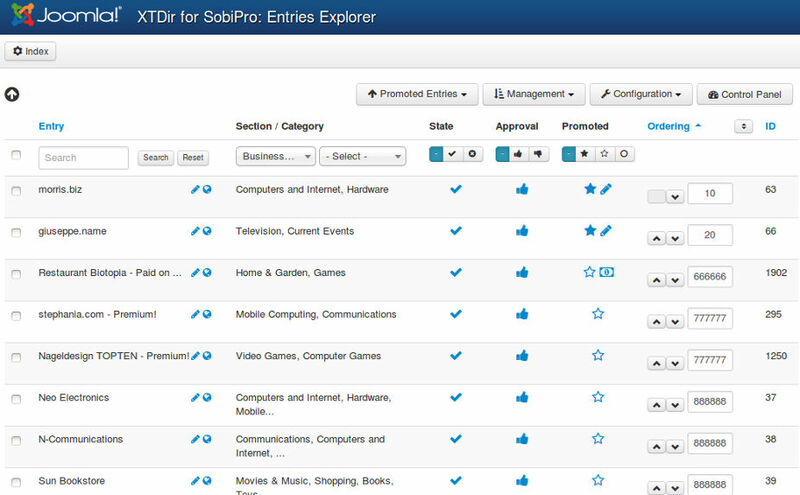 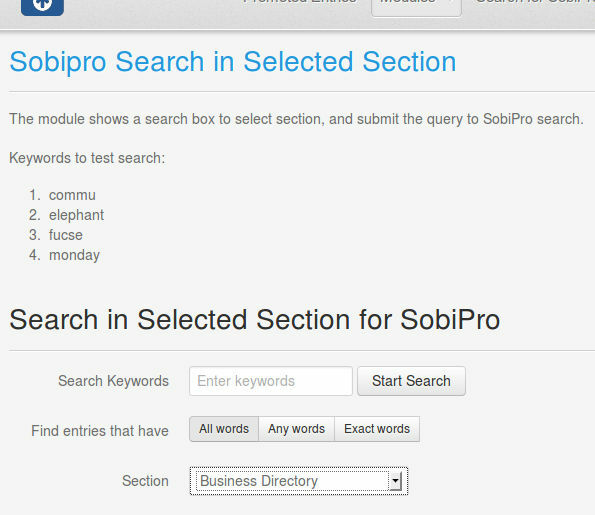 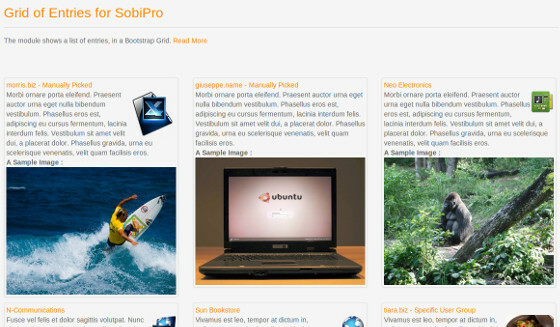 XTDir GeoMap Search for SobiPro is now included in XTDir for SobiPro.